March 21, 2019 Diablos Rojos del Mexico signed free agent RF Oswaldo Arcia. December 30, 2018 RF Oswaldo Arcia assigned to Caribes de Anzoategui. November 6, 2017 RF Oswaldo Arcia elected free agency. September 29, 2017 Reno Aces activated RF Oswaldo Arcia from the 7-day disabled list. August 31, 2017 Reno Aces placed RF Oswaldo Arcia on the 7-day disabled list. July 31, 2017 sent LF Oswaldo Arcia on a rehab assignment to AZL D-backs. January 6, 2017 RF Oswaldo Arcia assigned to Reno Aces. December 20, 2016 Arizona Diamondbacks signed free agent LF Oswaldo Arcia to a minor league contract and invited him to spring training. November 21, 2016 San Diego Padres released LF Oswaldo Arcia. November 18, 2016 San Diego Padres designated LF Oswaldo Arcia for assignment. November 15, 2016 OF Oswaldo Arcia assigned to Caribes de Anzoategui. August 27, 2016 San Diego Padres claimed LF Oswaldo Arcia off waivers from Miami Marlins. August 25, 2016 Miami Marlins designated LF Oswaldo Arcia for assignment. August 23, 2016 Miami Marlins claimed LF Oswaldo Arcia off waivers from Tampa Bay Rays. August 19, 2016 Tampa Bay Rays designated LF Oswaldo Arcia for assignment. August 16, 2016 Tampa Bay Rays sent OF Oswaldo Arcia on a rehab assignment to Charlotte Stone Crabs. August 8, 2016 Tampa Bay Rays sent OF Oswaldo Arcia on a rehab assignment to Charlotte Stone Crabs. July 29, 2016 Tampa Bay Rays placed LF Oswaldo Arcia on the 15-day disabled list retroactive to July 27, 2016. Right elbow strain. June 24, 2016 Minnesota Twins traded LF Oswaldo Arcia to Tampa Bay Rays for Player To Be Named Later. June 17, 2016 Minnesota Twins designated LF Oswaldo Arcia for assignment. October 5, 2015 Minnesota Twins recalled LF Oswaldo Arcia from Rochester Red Wings. June 3, 2015 Minnesota Twins optioned LF Oswaldo Arcia to Rochester Red Wings. May 25, 2015 Minnesota Twins sent OF Oswaldo Arcia on a rehab assignment to Rochester Red Wings. May 4, 2015 Oswaldo Arcia roster status changed by Minnesota Twins. January 30, 2015 OF Oswaldo Arcia assigned to Venezuela. October 30, 2014 OF Oswaldo Arcia assigned to Caribes de Anzoategui. May 26, 2014 Minnesota Twins recalled LF Oswaldo Arcia from Rochester Red Wings. May 14, 2014 Minnesota Twins optioned LF Oswaldo Arcia to Rochester Red Wings. April 26, 2014 Minnesota Twins sent LF Oswaldo Arcia on a rehab assignment to Rochester Red Wings. April 9, 2014 Minnesota Twins placed LF Oswaldo Arcia on the 15-day disabled list retroactive to April 5, 2014. Right wrist strain. 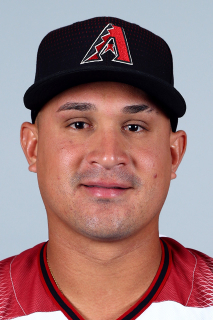 December 30, 2013 Oswaldo Arcia assigned to Aguilas Cibaenas. December 30, 2013 Aguilas del Zulia activated LF Oswaldo Arcia. October 10, 2013 RF Oswaldo Arcia assigned to Tigres de Aragua. August 2, 2013 Minnesota Twins recalled LF Oswaldo Arcia from Rochester Red Wings. July 15, 2013 Minnesota Twins optioned Oswaldo Arcia to Rochester Red Wings. June 11, 2013 Minnesota Twins recalled Oswaldo Arcia from Rochester Red Wings. May 25, 2013 Minnesota Twins optioned Oswaldo Arcia to Rochester Red Wings. April 17, 2013 Minnesota Twins recalled Oswaldo Arcia from Rochester Red Wings. April 16, 2013 Minnesota Twins optioned Oswaldo Arcia to Rochester Red Wings. April 15, 2013 Minnesota Twins recalled Oswaldo Arcia from Rochester Red Wings. March 16, 2013 Minnesota Twins optioned Oswaldo Arcia to Rochester Red Wings. December 31, 2012 OF Oswaldo Arcia transferred to Caribes de Anzoategui from Tigres de Aragua. October 4, 2012 Minnesota Twins recalled Oswaldo Arcia from New Britain Rock Cats. June 18, 2012 Oswaldo Arcia assigned to New Britain Rock Cats from Fort Myers Miracle. March 15, 2012 Minnesota Twins optioned Oswaldo Arcia to Fort Myers Miracle. November 18, 2011 Minnesota Twins selected the contract of Oswaldo Arcia from Fort Myers Miracle. June 26, 2011 Oswaldo Arcia assigned to Fort Myers Miracle from Beloit Snappers. June 24, 2011 sent OF Oswaldo Arcia on a rehab assignment to GCL Twins. May 1, 2011 Oswaldo Arcia roster status changed by Beloit Snappers. April 4, 2011 OF Oswaldo Arcia assigned to Beloit Snappers from Elizabethton Twins. October 4, 2010 Tigres de Aragua signed Oswaldo Arcia. June 22, 2010 Oswaldo Arcia assigned to Elizabethton Twins from GCL Twins. June 15, 2010 RF Oswaldo Arcia roster status changed by GCL Twins. November 17, 2009 OF Oswaldo Arcia assigned to Tigres de Aragua. May 20, 2009 Oswaldo Arcia elected free agency. May 19, 2009 RF Oswaldo Arcia assigned to GCL Twins from DSL Twins.